KATHERINE TSANOFF BROWN ’38 LIVED MOST of her life at Rice. Her father, philosophy professor Radoslav Tsanoff, was among the earliest arrivals at the new institute. He and his wife, Corinne, raised Brown and her sister in the tightly knit campus community; their friends were the sons and daughters of the other young teachers. Besides a sense of community, Brown imbibed a powerful sense of the excitement of scholarship, which led her to an exemplary career as a researcher and a teacher. Brown entered Rice as a student in fall 1934, when she was only 15 years old. 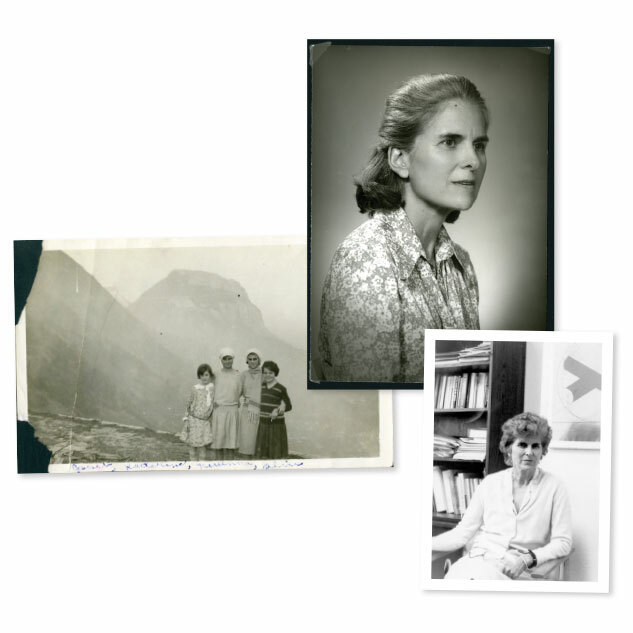 She had a stellar career academically — she was elected to Phi Beta Kappa and was a member of the Elizabeth Baldwin Literary Society. She went on to earn an MFA from Cornell, married Rice alumnus H. Fletcher Brown ’30 and returned to teach in the Rice architecture school in 1963, later becoming the school’s first art historian. Like her father, Brown was an excellent teacher, honored with awards and with the gratitude of generations of students. She spent a decade as dean of undergraduates, a role for which she was almost perfectly suited. Calm and gentle, she had exacting standards and respected both the intellect and the emotions of the students. Katherine Tsanoff Brown was quiet and strong and almost impossibly elegant. She was a scholar and an artist who remained committed to the primacy of undergraduate education. The campus won’t be the same without her bold and confident stride. In her popular blog, Rice History Corner, Kean solves puzzles and unearths the stories behind the photos, objects and ephemera that reside in Rice University’s archives.